You've got less than 30 second to make the RIGHT 1st impression! The initial information you choose to reveal about your experience and your accomplishments begins the negotiation and influences your offer. Since this is the information initially offered in your resume and marketing materials, and your initial phone screens and interview, that means . . . . . that the negotiation begins with your first contact with a firm --- as you say hello! May eliminate yourself as a viable candidate. Why? Because the information you share about your experience and accomplishments places you at a compensation level in the interviewer’s mind -- right off the bat! It also indicates to them the level of responsibility you could assume in their firm. So be cautious about revealing too much too soon. 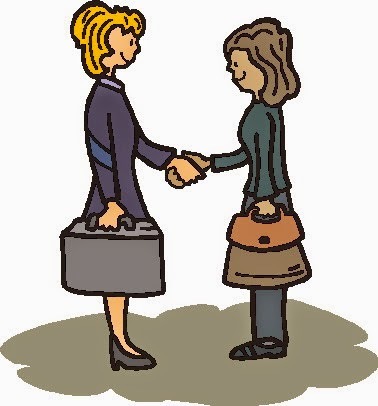 Negotiation begins the moment you say hello. Your early communications (such as resumes and e-mails) and initial talks (such as your interview phone screen) set the stage for how you are perceived. Those early perceptions set in the interviewing team's mind your levels of competence, authority, and compensation. They influence your future offer. In other words, you are negotiating and the negotiation began the moment you said hello. As you choose the information you initially reveal about yourself, you set the stage for the make-up of your potential offer. Plan and practice how you will reveal and discuss your experience, accomplishments, and expertise to convey the right first impression of you. While future discussions may correct some incorrect early perceptions, it is far easier to get it right . . . . . right off the bat. Psychologists say that people you meet form an initial impression of you in the first 30 seconds or less of meeting. They form impressions of and make judgements about your level of education, level of experience, status in society, trustworthiness, power, friendliness, competence, fit with their circle of friends or associates. - Are you competent and capable? - Will you fit their organization or one which your network contact is considering referring you to? - Would you be easy to work with? - Do they want to work with you? - Are you well enough educated to interact in their organization with employees and clients? (1) Be careful about the information you choose to initially reveal because that information about your background, affiliations, interests, attitudes, outlooks, goals and aspirations, not to mention experience, and accomplishments, begins the negotiation. It places you at a compensation level and authority level in the interviewer’s mind. It also indicates to them the level of responsibility you could assume in their firm. (2) Do some homework about the climate and culture of the organization, and conduct yourself accordingly. Rely not only on internet sources, but talk to people who know about the firm or work there. A formal company culture might require a more formal dress, demeanor, and way of presenting information about yourself. An informal company culture would allow you to conduct yourself in a bit more relaxed manner. (3) Be cautious about revealing too much too soon. It may lower your compensation or benefits, reduce your chance of hiring in at a higher level, or eliminate you entirely as a viable candidate. A technique to use is to answer a question briefly - a few sentences will do-, gauge the interviewers re-action (Is it positive or negative? ), and then either continue to reveal additional information (if positive) on the topic, or ask the interviewer what he or she would like you to amplify. (4) Be careful about the information you share on social media. It affects and projects your professional image! If information shared does not fit, or conflicts, with the image, product message, or mission of a company with which you are interviewing, you may be deemed a poor fit, not contacted for an interview, and eliminated before you ever said hello! employment marketplace. Conduct an informal survey with members of your network and ask how you come across. 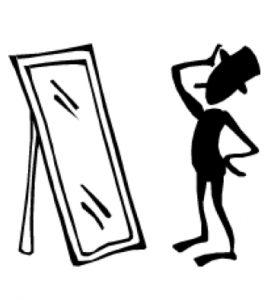 Use this information to present and manage your professional image. You next job may depend on it!